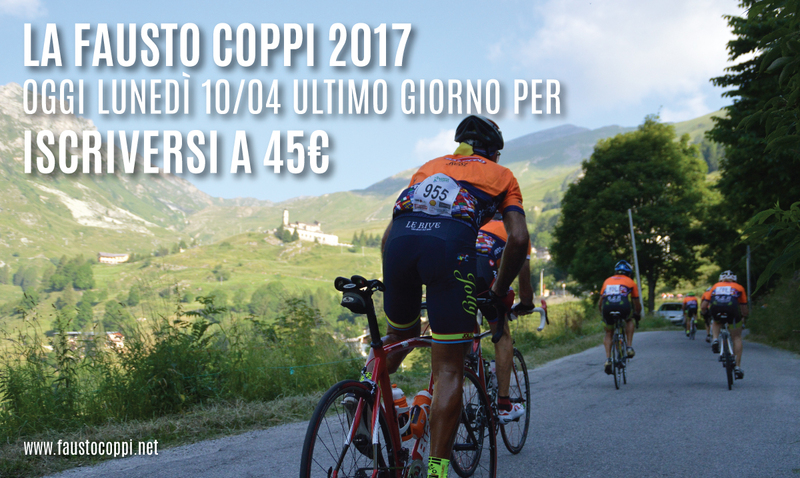 Granfondo La Fausto Coppi | Register at 45 euros! Today, Monday, April 10th, last day for registering to the Mediofondo or the Granfondo La Fausto Coppi at discounted price! Go immediately to the website of Sdam..